Penguin Bloom is the subject of a book published in April 2016. Penguin is a magpie, rescued by a family who found her after she had fallen from her nest. 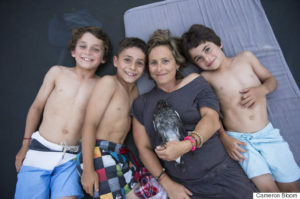 The family had its own recent history of falling: Samantha, the mother, had fallen from a rooftop terrace while on holiday in Thailand and sustained sever injuries that left her unable to walk. 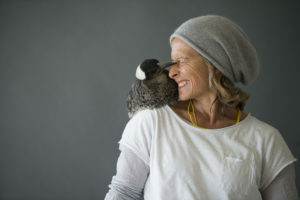 Samantha’s story, and the part that Penguin the Magpie, ostensibly the one being healed, herself played in healing both Samantha and her family can be found in several places, including the Huffington Post. What Penguin did was to help to renew Samantha’s identity, which had been shattered, as much as her body, by the result of the fall. For many people facing illness or disability, one of the greatest challenges that they face is loss of identity. Jesus seems to have understood this. In first century Palestine, a great deal of identity was tied to membership of the community, and those with anything that might be deemed contagious or infectious were excluded from communal life. This is presumably why when Jesus healed people, he spoke to them in terms of restoring them to their community or renewing their identity. The account of healing ten lepers captures all this. Jesus restored them to their community. But one turned back – the one who had an extra degree of exclusion, being a Samaritan. He probably appreciated more than anyone just what Jesus had done to restore his identity, and that Jesus’ arms could be opened wide enough to embrace all of him: leper, foreigner, exile. This can speak to us in several ways. We need to be sensitive to those who find their identity cast into question, and seek to help to restore or renew it, while refraining from trying to impose a “fix” on them. We can’t go around giving out baby magpies to be cared for, but the catalysts for healing identity can be many. Secondly, we need to consider when we might be excluding people – intentionally or inadvertently – whom Jesus would welcome, whether because of health (especially with mental health problems), or loss of ability, or bereavement, for example. When people are in crisis, because of health, especially with mental health problems, or loss of ability, or bereavement, for example, we need, as the body of Christ in the world, to remember the generosity and openness of Jesus, and try to model ourselves on that. Listening without intervening is a well-crafted skill: Penguin the magpie was an excellent listener! Thirdly, we are all going to face times when our identity is threatened, in which case we need to be willing to open ourselves to opportunities for restoration or renewal, accepting that who and what we are can and will evolve and change. We need to be willing to accept that who and what we are can and will evolve and change as we grow older and life throws its challenges at us. Jeremiah, giving words of hope to exiles, encouraged them to make the most of the lives that they had been given: to appreciate the positive in the situation in which they found themselves. And by implication to be grateful. Which leads to the final point: gratitude. It should not have to be the outsider who shows how to express gratitude. A suggestion is to use the quiet times of our days, like a “screen saver,” to consider things for which we are thankful. This is one way to respond to the generosity of God, which is something distilled into and through the life of Jesus. There is an underlying generosity in the compassion of Jesus that is willing to offer healing to a world in which only ten per cent of the recipients – if that – can be bothered to respond with thanks. I’m very fond of Jesus Christ. He may be the most beautiful guy who walked the face of this earth. Any guy who says, ‘Blessed are the poor. Blessed are the meek,’ has got to be a figure of unparalleled generosity and insight … a man who declared himself to stand among the thieves, the prostitutes and the homeless. His position cannot be comprehended. It is an inhuman generosity. A generosity that would overthrow the world if it was embraced, because nothing would weather that compassion. I’m not trying to alter the Jewish view of Jesus Christ. But to me … the figure of the man has touched me. The generosity of God, distilled through and in the life of Jesus, a “figure of unparalleled generosity,” deserves our gratitude for the way in which he has been and is willing to touch our lives. With or without a baby magpie.